While this isn’t a specific “recipe”, Yonana creations are one of the things we enjoy most. The Yonana machine can be purcahsed at Bed Bath & Beyond or on-line. It turns frozen bananas and other frozen fruits into soft serve “ice creams”. Mine did come with a recipe book, but I’m not sure if the newer models do since most of the recipes are on line. There are also numerous you tube videos of various creations. You do not HAVE to use bananas, although they are delicious for great banana splits. Place dates in a bowl of water to soften. Remove from water and place in a food processor with the cacao powder, and enough water to reach desired syrupy consistency. Coconut water also works well. This is absolutely delicious! So easy to prepare, too. 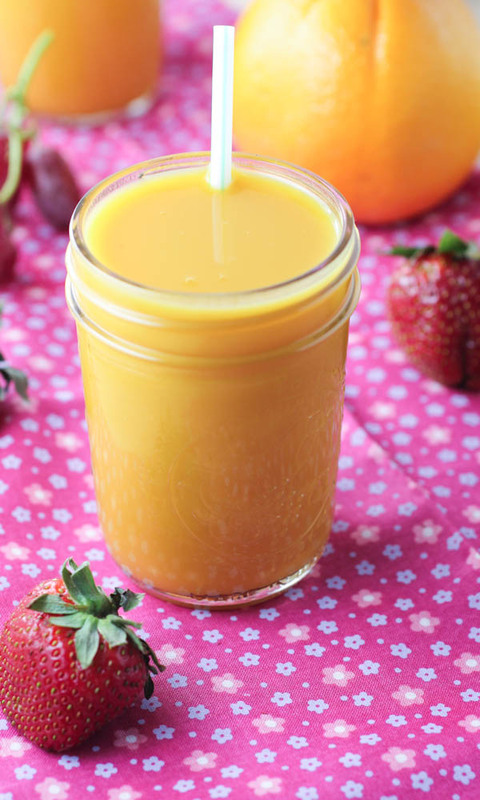 Throw a frozen banana, a frozen mango, and an orange, with a little plant milk into the blender – and Voilà! It tastes like a DREAMSICLE! Better than anything you could buy at ice cream shop! Cut orange in half and remove any seeds. Place in blender, add remaining ingredients, and blend until thick and smooth. 2 servings. Each 184 calories, 1.6 g fat, 0.3 g sat. fat, 0 cholesterol, 4 g protein, 43.1 g carb, 26.8 g sugar, 5.6 g fiber. (This is a great comfort food that isn’t overly sweet. Brown rice is a great source of fiber, and also contains the protein, vitamins and minerals that are lost in milling white rice). Pour soymilk into medium saucepan and stir in cornstarch. 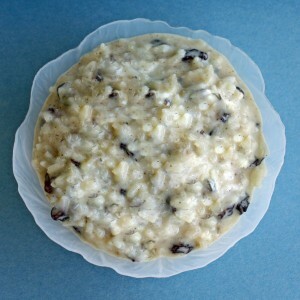 Add rice, syrup, raisins, and cinnamon; bring to a simmer over medium heat. Cook 3 minutes, then remove from heat and stir in vanilla and almond extracts. Serve hot or cold.